As the leading map professionals in the region, Explorer created a bespoke 3D bus map for the Sharjah Investment and Development Authority (Shurooq). 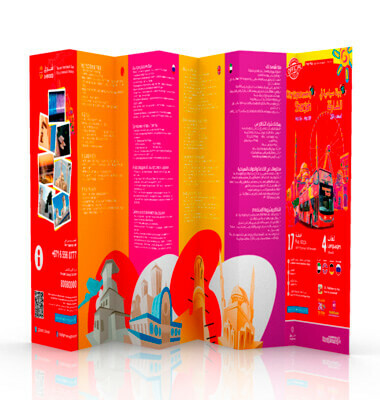 Using colourful and clear keys, symbols and infographics, the brochure brought to life Sharjah’s City Sightseeing bus timetables and locations in a user-friendly format. For this product, Explorer drew on their expertise, experience and award-winning design and cartography teams to deliver an accurate and accessible product, featuring Sharjah’s, landmarks, area names and latest developments.